We’ve got "Movie Sign!" 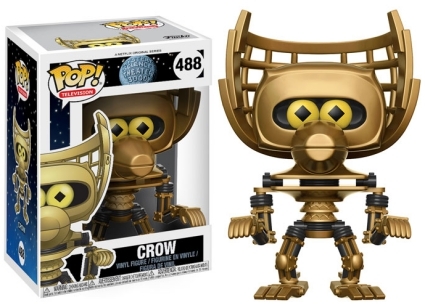 Well, actually we don’t, but we do have Funko Pop Mystery Science Theater 3000 vinyl figures! The set features the robot duo from the fan-favorite series based around making fun of "bad" movies. Although Mystery Science Theater 3000, or MST3K, aired for just one season (1988-89) before originally being canceled, the television series developed a cult following that allowed it to persevere for another decade. Those dedicated fans helped bring Joel, a janitor launched into space by crazy scientists, and his B-movie riffing robots—Tom Servo and Crow T. Robot (Crow)—to several other networks before the final season in 1999. In addition to a movie in 1996, a Kickstarter campaign led to an MST3K revival in 2017 with a new Netflix series. Shop for Mystery Science Theater 3000 DVD/Blu-Ray options on Amazon. Included in the Pop! 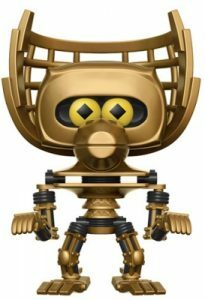 Television line, Crow T. Robot features shiny gold and black tubing with his molybdenum frame clearly defined. The lovable robot’s beak is closed as he stares at you with his bright yellow eyes. 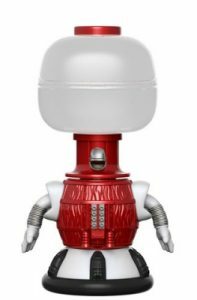 Meanwhile, the cynical Tom Servo appears to have a nearly see-through, gumball machine-shaped head. His stylized look portrays the Comedy Channel/Comedy Central version as the body is painted red rather than the original silver. Furthermore, Servo’s arms and gloved hands dangle by his side, stopping just above the black-and-white hoverskirt. 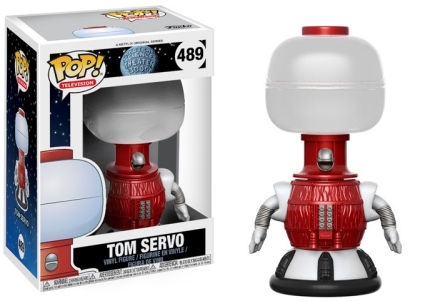 Funko MST3K Tom Servo Pop. (Vaulted) No box. Mystery Science Theatre 3000. When do these come out? Shouldn’t they have given a release date by now? Will there be any other figures joining the bots?